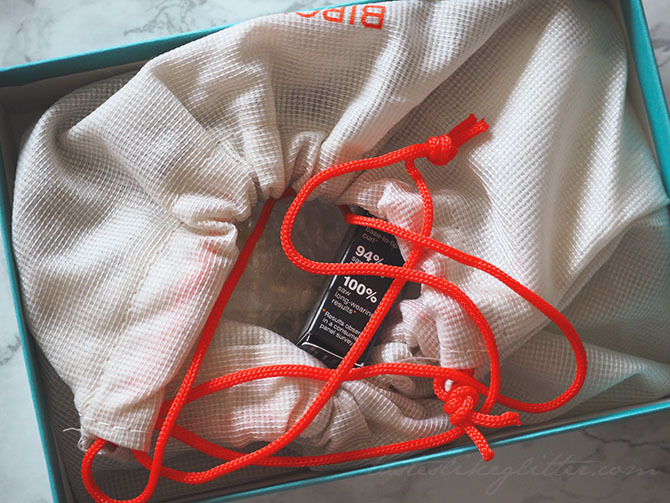 After receiving my first Birchbox, I couldn't wait for another one. A few weeks before it was dispatched I received an email prompting me to pick from two box designs, which I thought was a nice touch. 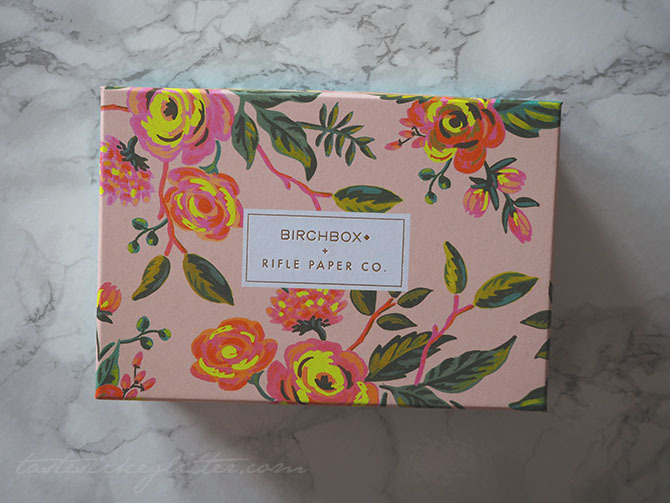 They teamed up with Rifle Paper Co. to create two fabulously designed boxes. Herb Garden or Jardin de Paris, I opted for the latter. You also had the option to add a notebook in the same design to your box for a small fee but I opted not to. 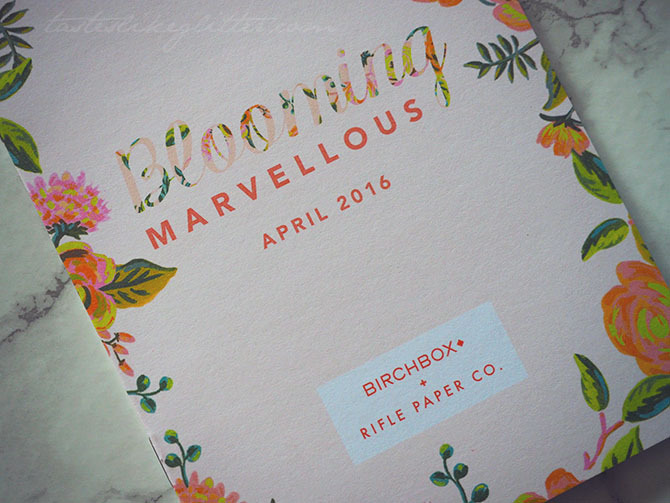 Also included was an exclusive 25% discount on the Rifle Paper Co. online store, good through the rest of the year. I'm one of those people that tend to shy away from oils, I don't know why but I just don't seem to gravitate towards them. This little bottle contains a blend of six essential oils - sweet almond, camellia, hazelnut, macadamia, borage and St John's wort. It smells absolutely wonderful and feels incredibly light on the skin. You can use this oil on your face, body and hair so I shall see if I can get onboard the dry oil trend. I haven't tried this as of yet since I slathered my hair in coconut oil for most of yesterday. I'm excited to try this as I haven't tried a leave-in conditioner since I was in my very early teens, if memory serves correct. The scent is uplifting and bright - described as ripe peach, cut grass and white woods. It helps to condition the hair whilst protecting against heat styling. Being that I'm on my feet for the majority of the day at work I really should take better care of them. This softening treatment contains white tea tree oil which is what makes up most of the scent. Alongside royal jelly and sweet almond oil. 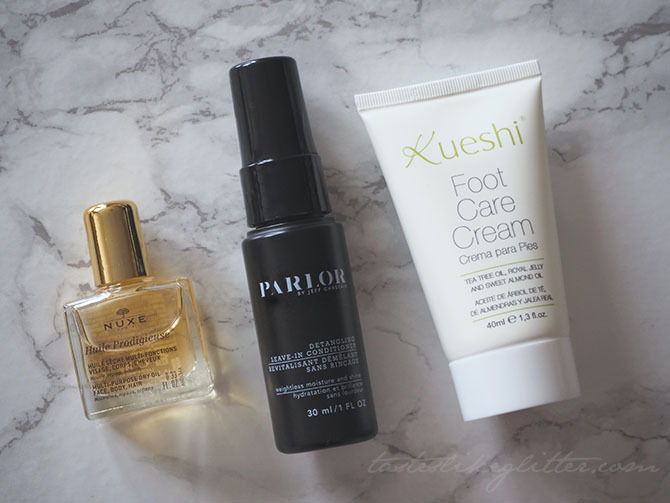 It's easily absorbed and doesn't leave behind any greasy feeling that I've noticed from other foot creams. I tried this mascara when it first came out and I wasn't struck on it. Since then everyone seems to have gone mad for it and it has a bit of a cult following. So much so that it's the UK's best selling mascara. I'm curious to see if I can make it work better for me second time around. 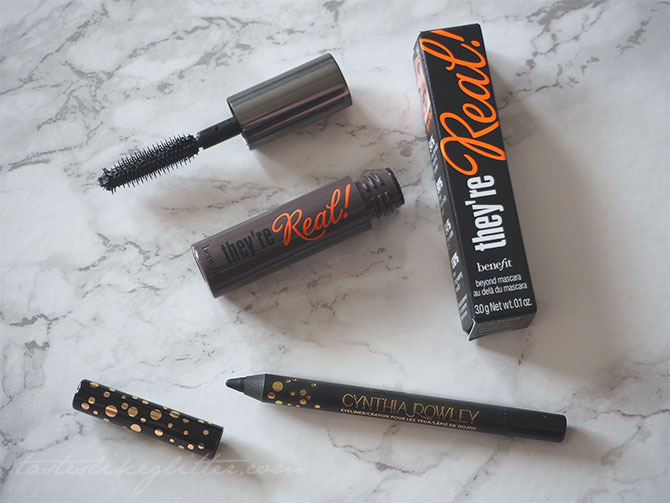 Birchbox have provided two products that you can create a stunning smokey eye with. This eyeliner is so creamy, it just seems to glide on. You have a little time to smudge it out if you wish and then it locks into place. Just what you want from a black liner.